Everything You Need To Upgrade Your GSG & Sig! Bushing and SAC are fitted together before shipping. The ZRTS GSG 1911-22 Ultimate Package includes everything you need to upgrade your GSG or Sig Sauer 1911-22. 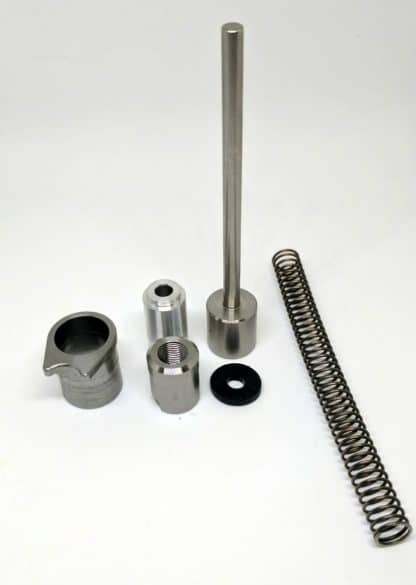 It comes with a full length guide rod, slide alignment cone (SAC), bushing, spring & plug. This package is designed to improve the performance of your GSG & Sig Sauer 1911-22 pistol. The bushing and SAC are fitted together before shipping. We use aluminum for our plug to prevent galling and provide the lightest weight possible to reduce slide mass and recoil. We are the only ones who swiss-turn a one piece guide rod that can never separate. All stainless steel construction adds weight and reduces split times. Our stainless steel bushing replaces the zinc die cast factory unit that is prone to breakage. Our high performance spring is much more reliable and doesn’t bind like the factory spring. NOTE: This kit allows removal of the barrel screw! All parts billet machined in the USA! Our Ultimate Package is designed to work without using the barrel screw. 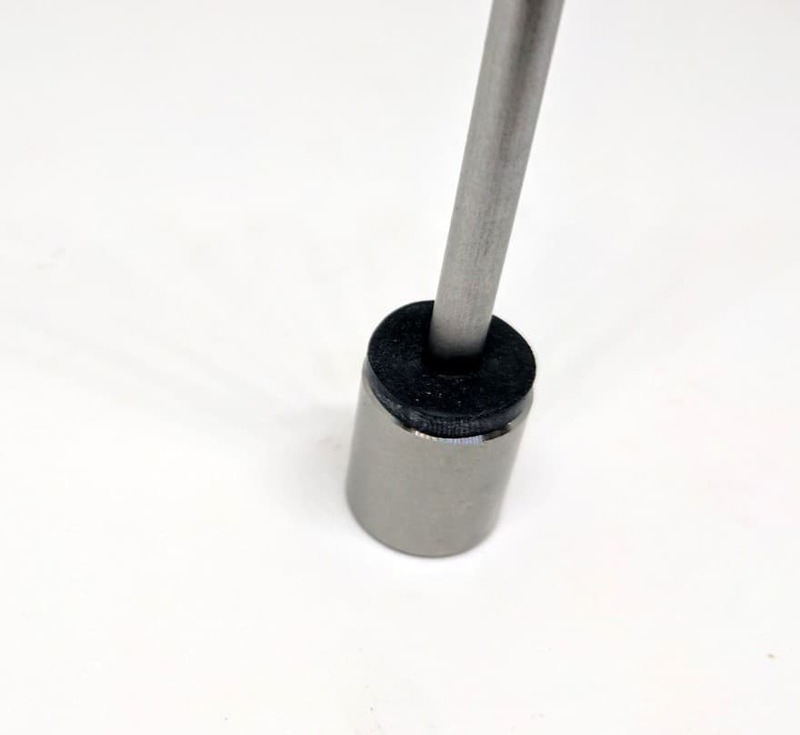 This eliminates the problem of changing the point of impact every time you re-torque the barrel screw. Have not have the chance to shoot my GCG 1911-22 yet but I can tell that this upgrade has taken a lot of the excess movement out of the barrel. Can’t wait to go shoot. Everything was as described and shipping was fast. parts fitment is good however; it would help to have updated video or written instructions, there is a flat washer on buffer pad for spring rod in video but not in kit so I used bushing from factory gide rod between spring and pad. should work. Everything fit as nicely. Had to change front sight was shooting a little higher than before. Very pleased with product. Will buy more of y’alls upgrades in the near future. Delivered exactly as ordered and quickly. Quality all around. Easiest online purchase i made in awhile. Fast shipping and fast reponse to a question of mine. Very pleased with Ultimate Package. Improved slide fit and improved accuracy. Installation was a breeze. Money well spent. Functions 100% & accuracy much improved. Very good to do business with. Fast shipping and great product. Quick followup with a question I had. THANKS! This was my second purchase of this kit for the gsg. These parts make an inexpensive gun into a great shooter! ZR tactical has great stuff and equally great service, thanks!